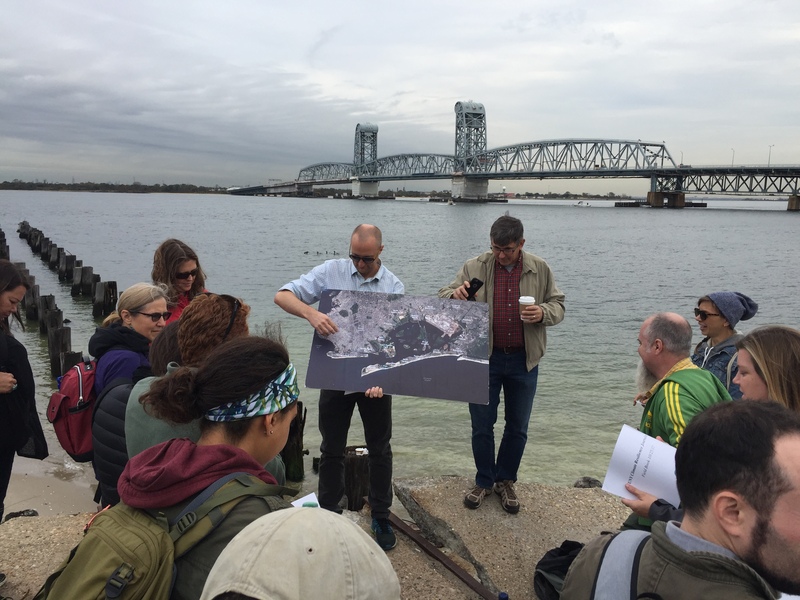 Adam Parris from the Science and Resilience Institute at Jamaica Bay, together with Dr. Brett Branco, giving the fellows an on-site briefing of the current situation in the area. Check out our video at the #Sandy5 march, where 5,000 New Yorkers gathered to ask the local authorities for quicker and more sustainable solutions to face the upcoming extreme weather challenges of the future. Five years after Superstorm Sandy hit New York City, its dwellers marched across the Brooklyn Bridge to demand quicker solutions and more resiliency efforts. AdaptNY made a quick social media curation of the event, the lingering consequences of the storm and what should be done now to make the city resilient. 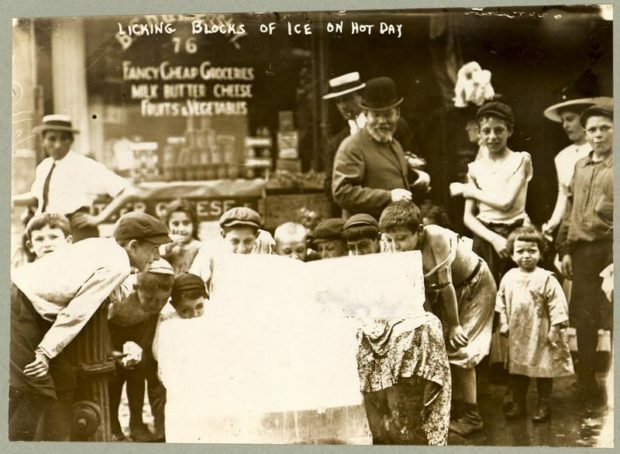 In 1896, when a massive heat wave hit New York, it was not city government’s problem. For 10 days that summer, outdoor temperatures rocketed above 90 degrees Fahrenheit, reaching up to 120 degrees inside old brick tenement buildings. Ice companies jacked up the price of ice, horses fainted by the hundreds, and by the end of the heat wave, nearly 1,500 New Yorkers had died. The mayor didn’t call an emergency meeting with his department heads until the emergency was almost over. But it was that summer, according to historian Edward Kohn, that a giant shift in government’s role took place. A young Theodore Roosevelt was the city’s police commissioner at the time, and seeing that the mayor wasn’t acting, he took matters into his own hands. He opened up the police precinct on the Lower East Side and handed out ice to the poor immigrants living in tenements there. “For Theodore Roosevelt to say, ‘Well, no, the government should be responsible — should purchase this ice and hand it out for free’ — that was a pretty radical notion,” said Kohn, the author of Hot Time in the Old Town: The Great Heat Wave of 1896 and the Making of Theodore Roosevelt. (UPDATED SEPT. 12) As AdaptNY’s Harlem Heat Project evolves, we’re not just gathering indoor heat data from residents there. We’re also inviting our community collaborators to share their heat-related stories. With the help of our project partner ISeeChange, the citizens of Harlem can offer their insights and observations as the summer season brings heat, and occasional relief. See a few selections below. And tell us your own Harlem Heat story here, or for mobile users, via the Apple app here. 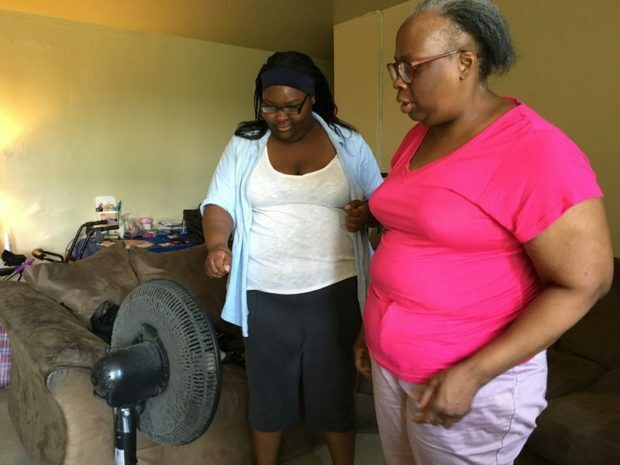 After sitting in her un-airconditioned fifth-floor apartment as the temperature surpassed 90 degrees Fahrenheit for several days in a row, 69-year-old Helen called 911. An ambulance brought her from her building in East Harlem to Mount Sinai Hospital, where she was admitted for heat exhaustion. She has a few medical issues, including a stomach problem. And her daughter says she’s stubborn: She doesn’t drink water when she knows she’s supposed to. “My head start to hurt, and then I start to throw up and I had feel a little dizzy a little,” says Helen, a fictitious name made up to protect her privacy. She talks from the hospital bed with her eyes closed. She doesn’t want to leave the hospital and go back to her hot apartment. Fact: Heat can kill. 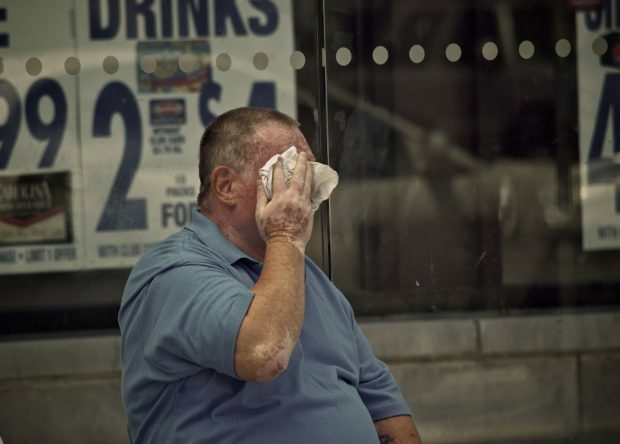 Some people may just feel uncomfortable when it’s hot, but for others the high temperatures and humid air can cause real harm and lead to untimely death. Fact: Sick people are more likely to be affected by the heat. 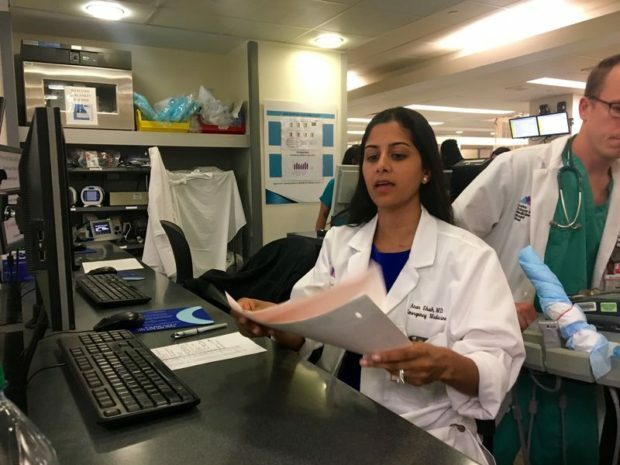 When someone suffers from chronic conditions like heart disease or even alcohol addiction, it can worsen the body’s ability to cope with sweltering summers. Fact: The heat is very much intertwined with economics and social structures. Many heat sufferers are affected much more than others simply because of where they live, their financial situations, or even their ethnicities. Call it the Blazing 2000s. While New York’s temperate climate may not conjure up the image of a sweltering desert, the city has seen numerous stretches of scorching temperatures almost every year since 2001 – often three or four heat waves annually and sometimes as many as half a dozen. In the past month alone, New York has been hit with a pair of five-day heat waves, the first July 21-25 and the latest Aug. 11-15, per data from the National Weather Service. Tammy has lived on the 18th floor of the same public housing building her whole life. She didn’t have air conditioning — until she could afford to buy her own unit when she was well into her 30s.